Over the years Henrietta worked with many other folklorists and ethnomusicologists including Alan Lomax and Charles Seeger (Pete’s father), a very important musicologist who needs to be rediscovered by people today. Henrietta often liked to repeat a quote by Charles Seeger, something she heard him say at a Society for Ethnomusicology conference in the 1970’s- “Studying the music is fine, but never forget the people.” By this she meant to remind me, other field workers and anyone else who would listen that song is a fundamentally human expression and should not be divorced from the actual lives of the people making it. She recognized that most music studied by enthnomusicologists and folklorists is produced by oppressed classes of people, minorities and indigenous tribes who live in poverty either in rural areas or in city slums, and that the condition of their lives should not be glossed over in the study of their music. In 1941 Henrietta, her husband Boris Yurchenco and some friends took a huge road trip from New York City to Mexico City. There was a great cultural scene going on there at that time, with artists doing all kinds of things, as well as other outlandish pursuits such as the brand new possibility of field recording. Henrietta had experience in radio and knew the right people, and so she was asked by Mexico’s Institute of Anthropology to start going into the most rural areas to record. Henrietta was in the right place at the right time and seized the opportunity. She told me that when the man offered her the chance to go into the field and record she “nearly bit his hand.” She was very excited. Accompanied by photographer Augustin Maya and a native guide, Henrietta ended up lugging 300 pounds of recording equipment through the Sierra Mountains of Mexico on a mule. They slept on the ground, braved scorpions and other dangers and found people and music unknown to outsiders or thought to have been lost for hundreds of years. All of these things I’ve been describing were very outside of the bounds proscribed for women at that time. But Henrietta never gave that sort of thing any regard and advocated strongly for women’s rights in all of her work throughout the years. 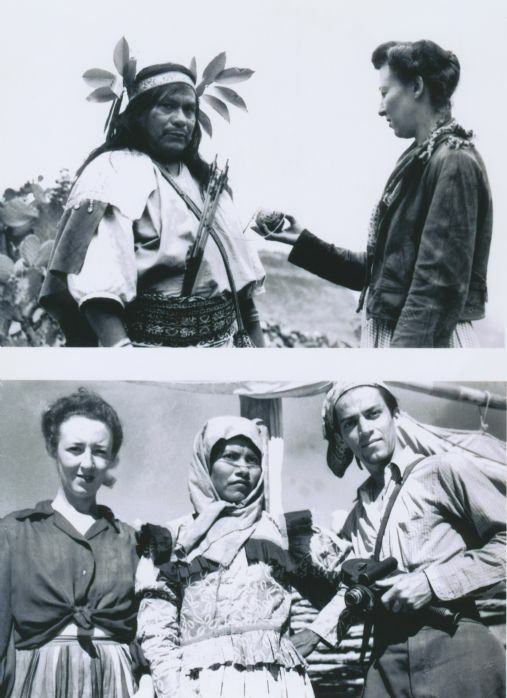 Henrietta’s field work among the Indian and Mestizo population of Mexico continued in earnest up through recent years. She also conducted field work in Guatemala, Columbia, Ecuador, Ireland, Puerto Rico, Johns Island South Carolina, Spain and Morocco. 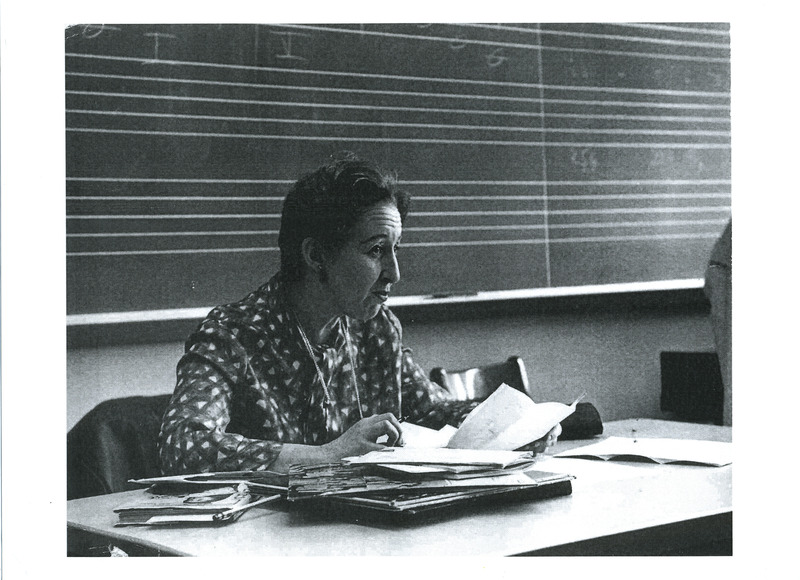 In 1966 Henrietta began teaching Ethnomusicology at City College in New York. She was vigorously opposed to academic pretense and bureaucratic nonsense and gave straight talking and by all accounts very inspiring courses. I wish I could have taken those! She had workshops on how to play many different instruments and styles of music and produced many concerts at City College. 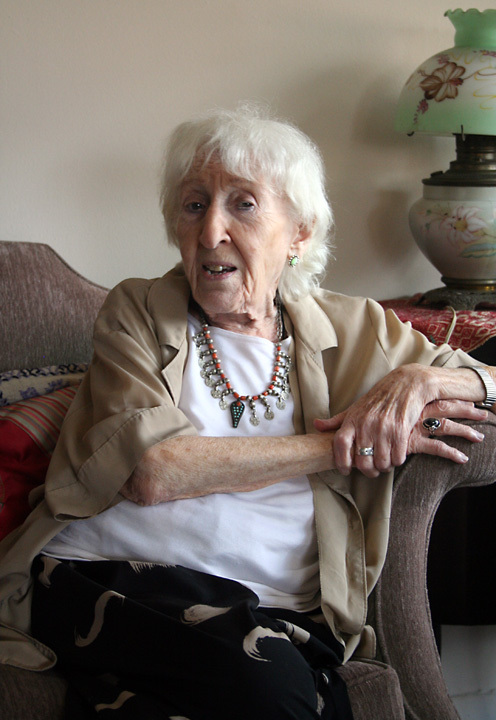 Henrietta was always very politically minded and active starting way back in the 30’s, and at City College was very involved in the Anti-Vietnam-War Movement. She remained politically active, going to demonstrations, speaking out against war and oppression, singing and promoting protest and peace songs until the end of her life. She retired from City College in 1987 at the age of 70 as Professor Emerita, but the Ethnomusicology classes would always visit her at her home every semester to meet the ever friendly and inspiring matriarch. I met Henrietta when she was 89. Although I knew her for a much shorter time than virtually all of her other friends, we became close, worked together a great deal, and she had a profound impact on me. I had read her autobiography “Around the World in 80 Years” while living in California, loved the book and was introduced to her by a mutual friend shortly after I moved back to New York in 2005. We hit it off immediately, and shortly there after I asked her to host Down Home Radio with me. To my delight she was way into the idea of doing an internet radio show and building something from the ground up. Henrietta had a profound influence on me in terms of my thinking about life! – but especially about culture and music in particular. Many of our conversations about the ideas behind Down Home Radio were challenging to me, and she always expressed her thoughts and positions very clearly and without reservation. We almost always came to agree, and her positions were always calculated to challenge me in ways that needed challenging. Henrietta imparted more abstract things to me as well, such as how to hear and see music in a more universal way, how to open my ears. She often liked to repeat a saying she had heard from an ethnomusicological informant in Mexico, “la ley es una cosa y la vida es un otra,” – “the law is one thing and life is another.” Henrietta used music, particularly the texts of songs, to find out about the real customs and thoughts of people, not empty assertions about the law as defined by government officials and the clergy. She was very adamant about that. Henrietta believed that the mechanisms governing people’s real lives, as reflected in their songs, had to do with a system of “sexual politics” and the interaction between the roles of men and women in a society. I have not even begun here to list her works. For more information on her books as well as her many fascinating articles, criticism (she wrote for the American Record Guide, Sing Out! and many other publications) fieldwork, radio appearances and other endeavors visit her website at www.HenriettaYurchenco.com . There you will also find a more complete chronology of her extraordinary and eventful life. “In Their Own Voices: Women in the Judeo-Hispanic Song and Story”- You can read this right on her website! And hear all the field recordings! “Hablamos! Puerto Ricans Speak.” Praeger, 1971. “A Mighty Hard Road: The Woody Guthrie Story.” McGraw-Hill, 1970. – Henrietta wrote the first biography of Woody Guthrie- It’s great! “A Fiesta of Songs from Latin America and Spain.” Putnam’s Sons, 1966. Folkways, Nonesuch, Global Village and Rounder. For a complete list see her website. “In Defense of Bob Dylan.” Sounds and Fury, 1965; reprinted in The New Sound (Scholastics), New York, 1966, reprinted in Bob Dylan, Four Decades of Commentary, 1998. “Skinhead Serenade: The Songs of Neo-Nazis“. Below is the mission statement she wrote last year for Down Home Radio, it summarizes many of her main points very succinctly. At Down Home, we believe that music is a mirror that reflects the fundamental principles of societies. Through melody, rhythm and words, songs reveal the ways ordinary people think and feel about the most intimate details of their own personal lives, their history, laws and customs which define their identity as well as their role in the world around them. Unfortunately both radio and television have paid scant attention to the importance of folk and popular music as a social and political document. Our airways are deluged in their coverage of pop standards, which in the last few decades has been sorely lacking in innovation, and out of touch with reality. Fortunately, Down Home Radio has at its disposal huge collections of recorded music available for broadcast, hidden musical treasures with provocative texts that will surely inspire and stimulate the listener. From the United States we plan to explore in depth the many forms of music created on American soil from the early 19th century to the present. Principally of African and British origins they interacted with each other to produce a unique, varied and vigorous musical culture: examples: 19th century minstrel theater, spirituals, work songs, and blues in all their manifestations (vocal, instrumental, regional, individual) country music, hip-hop, rock, children’s game songs, songs about women, and those dealing with American industrialization from the middle of the 19th century to the present enlivened with appropriate commentary on their political, social and historical meaning. The programs on Latin America and the Caribbean will air music popular in their respective countries but almost unknown in the United States. Spanish radio and TV in the United States present almost exclusively pop standards, and a nod to the Tango from Argentina, Norteño and Mariachi from Mexico, and Salsa from Puerto Rico. Down Home Radio will present music in all its ethnic and historical variety: native American, music of Spanish-Portuguese-British-French origin, and resulting new musical forms created in profusion throughout the area. Examples: 1. Dance music: milonga, cumbia, habanera, samba, danzon, plena, etc. 2. Native American prehispanic colonial and contemporary music. 3. Instrumental styles: ensembles and solo guitar, fiddle and harp 4. Distinguished soloists such as: Soledad Bravo,Victor Jara, Atahualpa Yupanqui, Silvio Rodriguez and Pablo Milanes, Mercedes Sosa, The Parra Family of Chile, Judith Reyes, etc. 5. Historical ballads and songs of protest and social issues: La Nova Trova, the Zapatistas of Chiapas, Mexico, historical ballads . 6. La Trova: the romantic tradition, a Medieval Spanish heritage alive and well throughout the Iberian world. Down Home Radio is conceived as a trail blazer: to present folk and popular music as a time honored cultural expression endowed with wisdom, wit, humor, and a vivid sense of humanity, its joys, trials and tribulations. Heartbreaking, I was just about to give an electronic thank you for the Leadbelly and Woody Guthrie Podcast. Wow, what a shock. I was lucky to see her October 24th, 2007 at her house and it seemed that she was going to live forever! She was talking about this radio show, as well as a new book project and visits from friends – she was far too busy to slow down at all. I met Henrietta in 1989, when I was working on a project on steel bands in Brooklyn. It is not exaggeration to say that she changed my life and has always been a huge inspiration to me. I never lived in New York, but I visited her every time I came to town and we had wonderful conversations on all kinds of topics, mostly of music. I will miss her terribly. Too many stories about her to tell here, but I feel so lucky that this miraculous woman was a big part of my life.